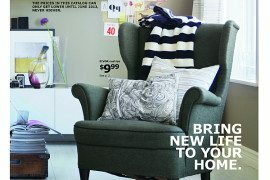 Have you ever said the word “IKEA” only to have it met with a face of disgust/horror/disdain from someone? I know I have, but that doesn’t change my love for their furniture, because boy oh boy, when it’s carefully selected, there’s a lot of good there! 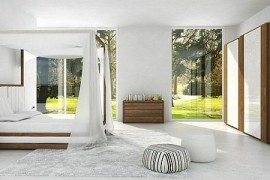 The bedroom is one of those places you want to feel most at peace in, and it’s also nice to have it reflect your personality. After all, it’s your haven, right? 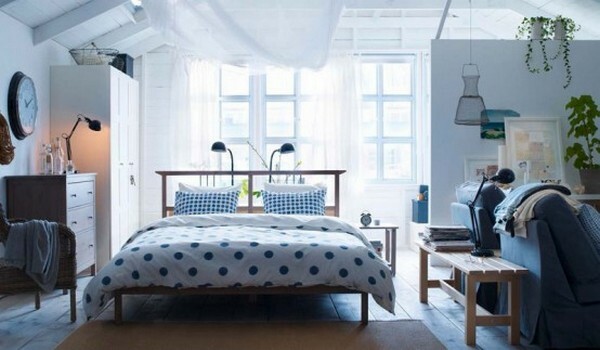 Let’s look at some amazing IKEA bedrooms. 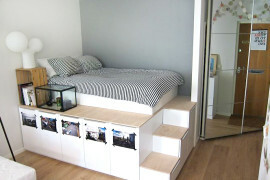 In a small bedroom, having furniture with open space underneath it always gives the appearance of openness, so this FJELLSE bed frame and HEMNES dresser definitely do the job! You almost forget that this space is open to a living room. It’s completely modern, functional and cozy! The PAX wardrobe system adds a great deal of storage without taking anything away from the room – don’t they almost look like built-ins? 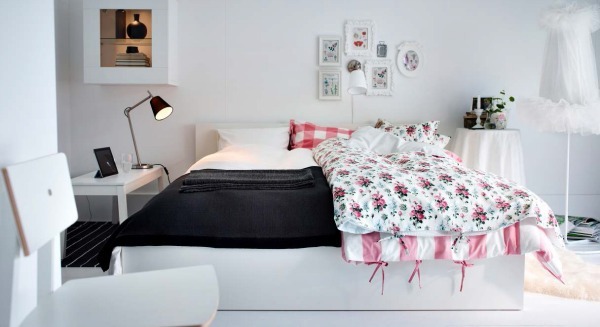 And in a room full of neutrals, this MALM bed looks like a big puffy cloud – perfect for dreaming in! Does it get any more grown up and chic than this? White, grey and black – a sophisticated combo that never goes out of style, and IKEA nailed it with the BEKKESTUA bed frame. This room is worthy of Carrie Bradshaw, especially with clothes and accessories taking part in decorating the space. And hey, Mr. Big would fit right in here too! The best is the understated star of the show in this room. Look around and you see a busy neutral palette that completely comes together in the perfect mix of white and natural wood of the MENDAL bed frame. The fact that it has built-in storage is just the icing on the cake! This room is full of Southern charm and sweetness.The LEIRVIK bed frame screams girly in a totally classic way. The blue textiles, lace and gingham add to the classic charm with only a touch of pink to bring it all together. 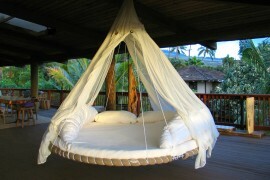 Now grab a glass of sweet tea and your favourite Jane Austen novel and curl up here. 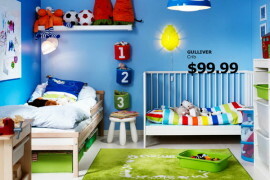 It’s wonderful when you see a bedroom and you can’t tell whether a guy or a girl decorated it. That’s definitely the case here, and yet you can imagine that just about anyone would love this fresh and cheerful combo. 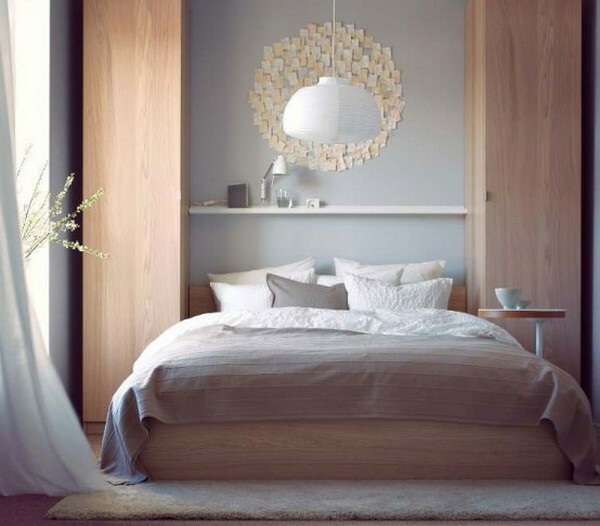 The NORDLI bed is a perfect blank canvas for just about any color to take over. Oh, and how great are those lamps framing the bed? His or hers? Well, in this room you can just pick a side. I love that this image shows the versatility of the furniture (the MALM bed once again) so that everyone can feel like their bedroom can be their haven, whether it’s simple in black and white, or fluffy and pink. There is a quaint and homey feel in this room that welcomes you in like a warm breeze from Nantucket. It’s almost as if the ocean waves can be heard just beyond the window, but wait…this could be anywhere, and the furniture is still from IKEA! 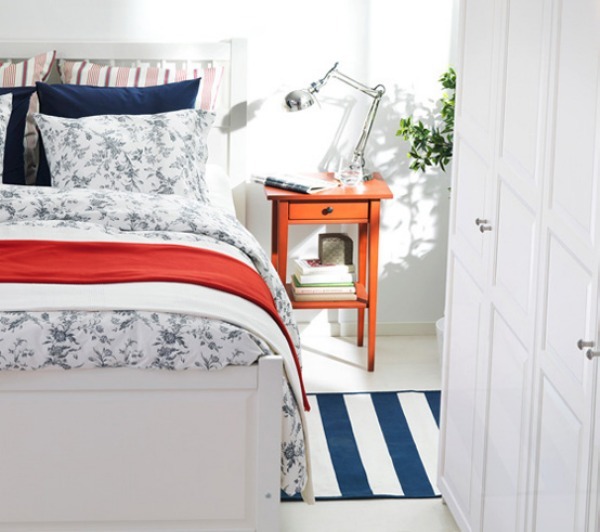 The classic style of the HEMNES bed frame is completely versatile and works wonderfully in this room. Dark woods, heavy drapes and plaid scream ‘gentleman’ in this room, but there are definite feminine touches around. It’s sort of a beautiful, understated marriage, and again, the HEMNES bed frame fits right in. 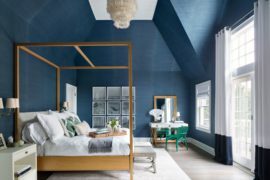 This bedroom is definitely moody with major feminine flair. The four poster EDLAND bed frame is a stunner, and sadly discontinued. I had to share it because this bed is too good to pass up, and don’t worry, the rest of the furniture in this room is readily available at an IKEA near you. And there you have it. 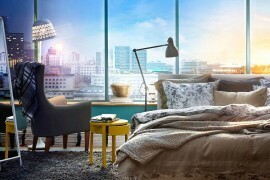 It is possible to have a super stylish, comfortable and unique bedroom with some of the world’s most popular furniture. Just give it a try!